SPRINGFIELD, Mass. … The 2019 Lexus AHL All-Star Classic presented by MGM Springfield is just days away, and the two-day event will reach millions of hockey fans worldwide through extensive television, internet streaming, radio and social media coverage. In Western Massachusetts for the first time in nearly 60 years, this year’s showcase will take place at the MassMutual Center, home of the Springfield Thunderbirds. 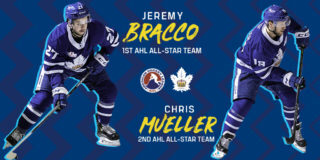 The 2019 AHL All-Star Skills Competition on Sunday (7 p.m. ET) and the 2019 AHL All-Star Challenge on Monday (7 p.m. ET) will be produced by Concom, Inc., and will be televised to national audiences on NHL Network in the United States and Sportsnet ONE and Sportsnet NOW across Canada. Former award-winning AHL broadcaster Brendan Burke, now the TV voice of the New York Islanders on MSG Networks, will handle play-by-play duties for the broadcasts. Alan May, a former AHL and NHL forward who is now an analyst for Washington Capitals games on NBC Sports Washington, will provide color commentary; and Todd Crocker, the voice of the Toronto Marlies on Leafs Nation Network, will work rinkside. AHLTV will also be offering a free video stream of both nights of the 2019 AHL All-Star Classic to AHL fans worldwide, as well as of the 2019 AHL Hall of Fame Induction and Awards Ceremony on Monday morning at 11 a.m. ET. Monday’s ceremony will feature the induction of John Anderson, Don Cherry, Murray Eaves and Brad Smyth as the AHL Hall of Fame Class of 2019, and will celebrate the careers of honorary All-Star Classic captains Shawn Thornton and Rob Murray. Simply visit theahl.com/AHLTV and log in with your existing AHLTV account or create a new account to access the broadcasts; no subscription is required. AHLTV is available on desktop, laptop, tablet and mobile devices, as well as over-the-top (OTT) platforms such as Roku, Apple TV, Amazon Fire TV and Android TV. In addition, the radio broadcast of Monday night’s All-Star Challenge can be heard on Springfield’s NewsRadio 560 WHYN, online at bit.ly/WHYN560AM or through the iHeartRadio mobile app. Ryan Smith of the Springfield Thunderbirds, Zack Fisch of the Hershey Bears and Rob Lippolis of the Binghamton Devils will have the radio call beginning at 6:45 p.m. ET. 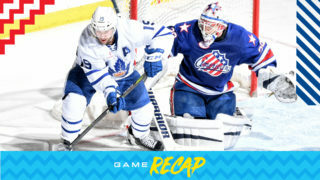 And throughout the weekend, the American Hockey League will be taking fans behind the scenes of the 2019 AHL All-Star Classic on its social media platforms. Follow the AHL on Twitter (@TheAHL), Facebook (fb.com/TheAHL) and Instagram (@TheAHL) and use #AHLAllStar to be part of the conversation. 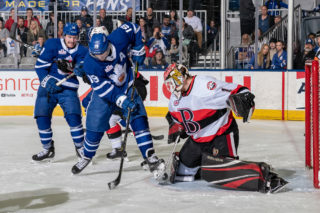 The 2019 AHL All-Star Skills Competition on Sunday will pit the All-Stars from the two Eastern Conference divisions against those from the two Western Conference divisions in seven skills events. 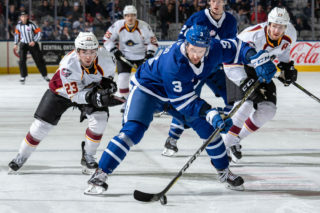 In the 2019 AHL All-Star Challenge on Monday, the four teams will participate in a 3-on-3, round-robin tournament featuring six games of 10 minutes each. 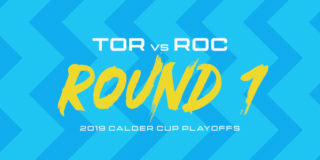 The two teams with the best records at the end of the round-robin will face off for the championship, a six-minute, 3-on-3 game. 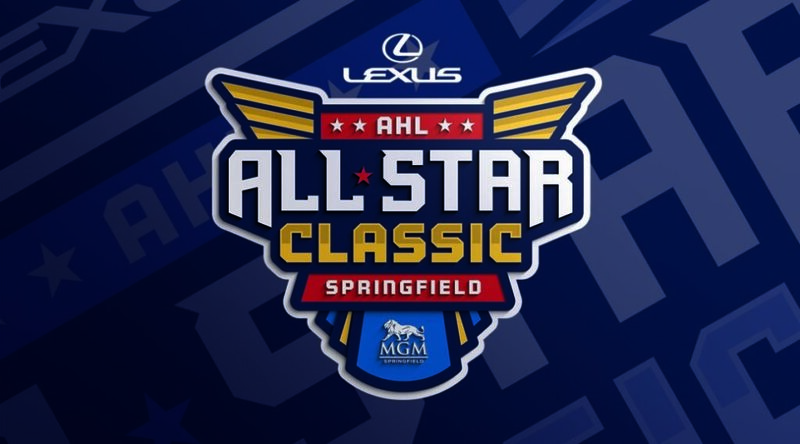 A limited number of tickets for the 2019 Lexus AHL All-Star Classic presented by MGM Springfield are still available at springfieldthunderbirds.com/allstar. 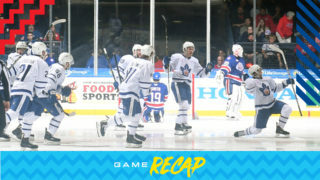 Priced at $39, $49, $59 and $99, tickets include admission to both the Skills Competition and the All-Star Challenge.